At the first Think Forward Summit last year, participants defined three areas where people experience challenges in their financial decision-making. These challenges gave birth to five projects, which participants were busy working on throughout the past year. This is an overview of the Financial capability-project, their research and the practical solution being developed based on the research. If you think about the personal finance situation in Europe, the image conjured up is perhaps more stormy seas than calm lake. Sixty percent of the people we surveyed across Europe have said that they worry about their financial position. Nearly three in 10 don’t have any savings at all. And 10 percent of people who have personal debt don’t even know how much they owe. What can be done to help the millions across Europe who are struggling to keep their heads above water? 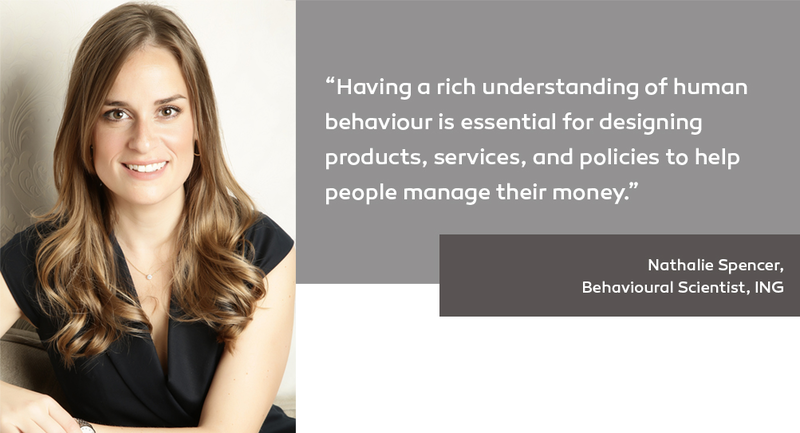 Our premise is that financially capable behaviour is not just a function of financial literacy, but also a function of various different personal characteristics and peer effects. 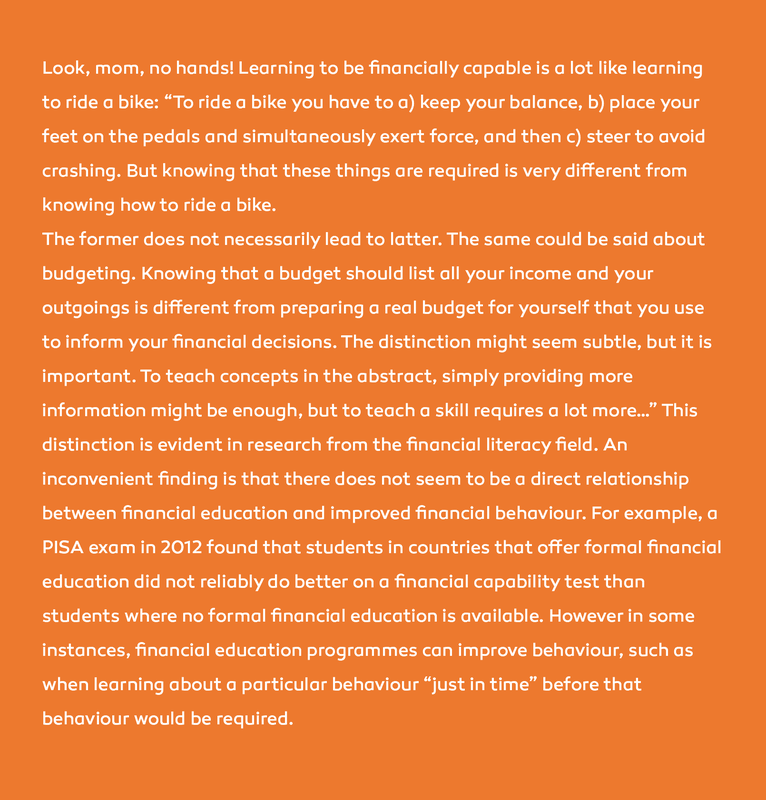 Teaching financial literacy, or knowledge about concepts, seems to be a partial step in the right direction but doesn’t necessarily go far enough to actually change behaviour. Rather than simply consuming more information about abstract financial concepts, as is sometimes done in more traditional financial education programmes, we expect people to be more receptive to tips and tricks that are personally and situationally relevant. Tailored to their own personality and pushed out at the right time: prior to a financial decision, but not so far in advance as to get lost in the business of everyday life. To that end, the financial capability working group of the TFI is developing an app that provides tips and tricks in a way that’s both personal and timely. Users will gradually build up a personality profile by answering questions over time, providing insight into what rules of thumb are likely to be most useful for that particular profile. For example, if a person selfidentifies as being overly optimistic, one of the tips provided would focus on ways of making more realistic (rather than optimistic) expectations about income and costs. Established research from behavioural science shows that many natural human tendencies – like being impulsive or overly optimistic – make it difficult to manage money well. This is where there’s room to explore how to help improve financial capability through gaining a better understanding of just how these tendencies affect money decisions. To explore this relationship further, we’re running a survey to tease out the correlation between these factors, looking at the link between people’s likelihood to make ends meet, be resilient to shocks and to plan well for the future, and their impulsivity level, optimism, sense of agency, risk tolerance, beliefs about what their friends and family are doing, and others. The findings from the survey about the connection between these personal characteristics will be built into the app in development so that tips can be tailored to each individual user. This research contributes to the field by strengthening our understanding of the many different factors that come into play to help people manage their money well. This can be beneficial for banks and financial institutions to create more sophisticated products and services that really meet the needs of individual customers to help them on the road to better money management. Bringing together the insights from the survey research with a star team of development partners, we hope this practical solution will help the millions of people around Europe who struggle with financial capability. 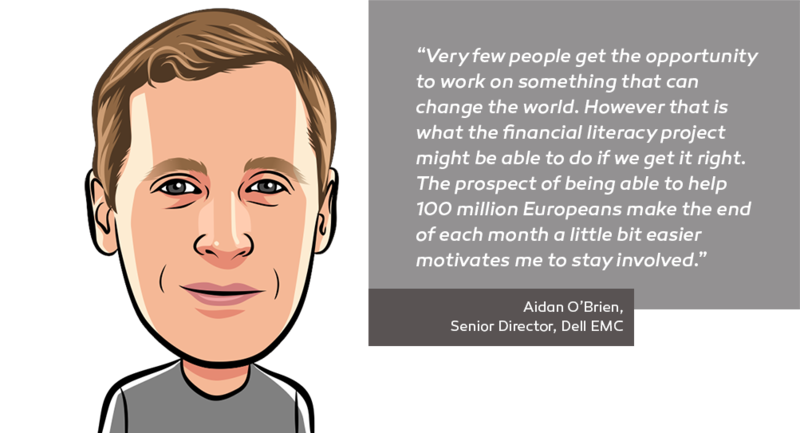 Living from paycheck to paycheck is a harsh reality that many Europeans face. This practical solution helps those people get (back) in control by teaching them how to spend more wisely. Based on what decisions theses consumers face in the immediate or near future, we provide them with context-aware tips and tricks. A unique combination of personal, timely and situational relevant spending tips and tricks - grounded in academic research - helps them coping with their financial challenges.